The cutting roller pipe is a high precision and specially treated seamless steel pipe, the inner hole`s final precise machining of the hydraulic and pneumatic cylinder is honing or cutting process. 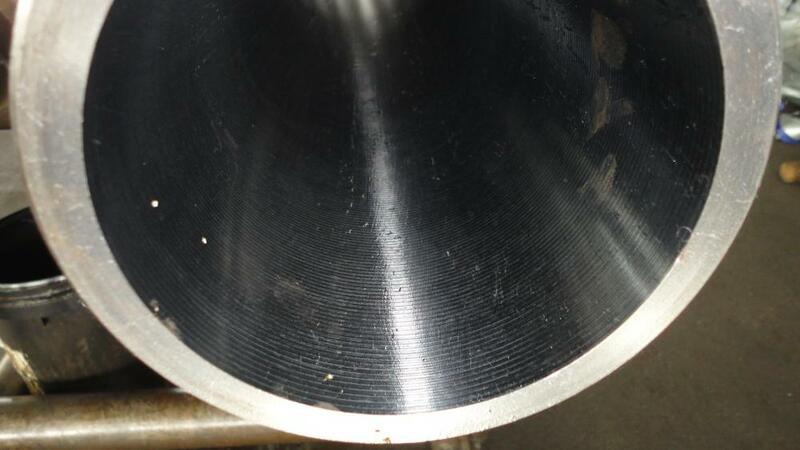 (4) apply SRB2560 horizontal NC boring roller to do the inner hole cutting of the cold drawn pipes. The scraper is a compound machining tool to do the continues scraping of the inner hole cutting and the rolling process. The worker does the scraping and the rolling process when the pipe is moving forward, then move the pipe away quickly to finish the production. 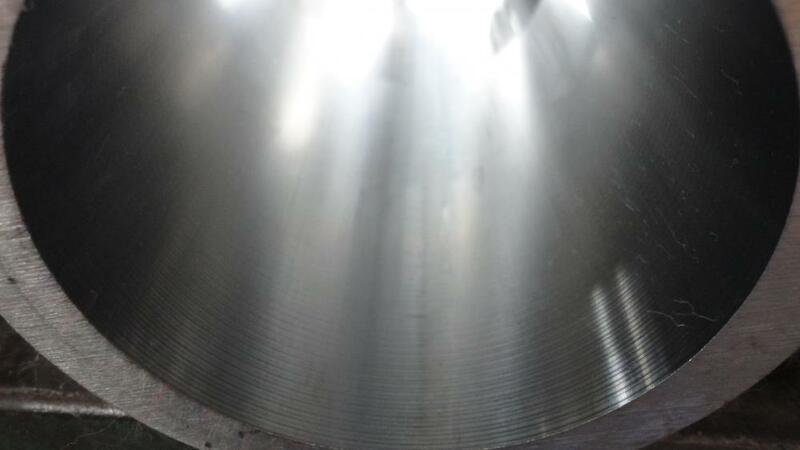 When the method 1 is taken, the process of scraping and rolling can be performed in the same procedure, thus the pipe can be quickly taken away to short the working time. The condition is to meet the process condition of scraping and rolling. The worker does the scraping when the pipe is moving forward and conduct the rolling process when the pipe is moving backward. In the meanwhile when the method 2 is taken, the scraping and the rolling procedure are departed thus they can perform well on their own, but quick backward has no way. (1) The working efficiency on the production of the cutting pipes is several times or dozens of times of the honing pipes. (2) The workers are equipped with the computers to ensure the products they made are of high precision, each pipe of 5 or 6 meters only has 2 or 3 screw differences inside the pipe. (3) The surface strenghth is greatly improved. Looking for ideal High Precision Cutting Roller Tube Manufacturer & supplier ? We have a wide selection at great prices to help you get creative. All the Seamless Steel Pipe are quality guaranteed. We are China Origin Factory of TPCO Tianjin Cutting Roller Tube. If you have any question, please feel free to contact us.